Viewable below the trailer and a new poster all stashed out and I can’t wait to see this…Who else cant wait? Raise your hands please. 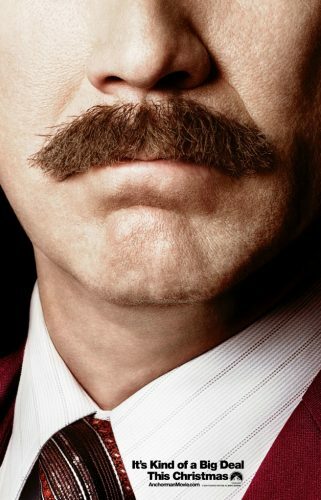 Plot: With the 70’s behind him, San Diego’s top rated newsman, Ron Burgundy (Will Ferrell), returns to the news desk in “Anchorman 2: The Legend Continues.” Also back for more are Ron’s co-anchor and wife, Veronica Corningstone (Christina Applegate), weather man Brick Tamland (Steve Carell), man on the street Brian Fantana (Paul Rudd) and sports guy Champ Kind (David Koechner) – All of whom won’t make it easy to stay classy…while taking New York’s first 24-hour news channel by storm.